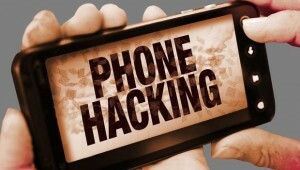 Smartphone hacking is common in the cheap mobile phone to best android smartphones. The hacking is not because of the mobile phone manufacturers or the features present in the smartphones. Even a best smartphone is prone to hacking if it is not properly protected. Some of the fool-proof methods which are tried to avoid hacking are given below. Set a strong password in your smartphone and do not revel it to your friends or family members. Setting a password is very important for any phone to prevent from hacking or malicious activities. The new model smartphones like iPhone supported with iOS8 and recent android devices have encryption technology to encrypt your smartphones by default. Updating the software is necessary for android or iOS smartphones. The update will fix all the errors in the smartphone that a hacker uses to harm your phone. Having a device finder in your smartphone will help you to locate the phone immediately though you fail to find it. The device finder will ring your smartphone even in silent mode.